The are many people out there who want more of God but at times, they struggle to understand God and the Christian journey. 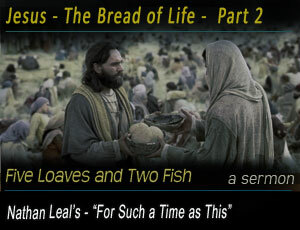 This message will encourage those who are spiritually hungry or need a touch from God. In this session we will look at the portion of scripture about Jesus being the bread of life and the hope that He brings to mankind. This is a message that will strengthen those who need a touch from God in these dark times.